In this modern era, everything is online, even you can purchase your underwear too, so why not hackers? Till now, the site has had over 500 jobs of these types listed, and the great thing for a normal user is: All the conversations and offers will be done anonymously. If your work done by the hacker, then the website will collect fees from you and your personal information will be kept like a FBI undercover Agent, Really-Read the Terms & Conditions. Step 1: Register for a Hacker’s List account. Step 2: Fill out your basic job needs and post your job requirements. Step 3: Hackers from all over the world will post proposals on how to best accomplish your job. 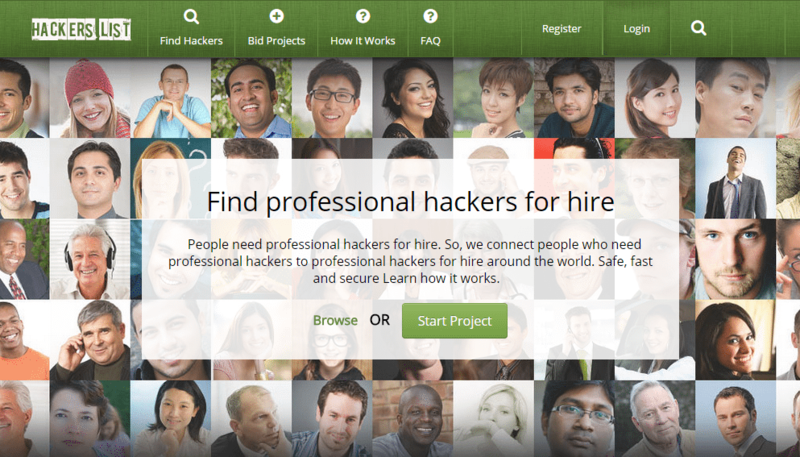 Step 4: Choose the right Hacker for you based on price, skills and availability. Step 5: Agree on pricing and make your first payment. Dont worry, Hacker’s List holds all payments untill your project is complete. You control when and to who your funds are released. If you ever visited freelancer.com, so you will find it a copy of that, only the difference is about a professional work and a professional hack. A number of hackers listed on the website provide hourly rates, ranging from $28 to $300. use the Service for any illegal purposes. Means only you will be responsible for any future hack and from my point of view, On demand of the internal data by the Govt. the website will give your information to them.